After escaping flooding during Hurricane Harvey, two lions rescued from a zoo in Victoria have found a home at the Austin Zoo. Head Curator John Gramieri says there are a lot of challenges to giving new homes to creatures like these. For one, they need to be kept in quarantine once they arrive. The tiger, for example, showed up with parasites and had to be treated. The quarantine extends to zookeepers who, if they are assigned a new animal, cannot interact with other animals in the general population. There was also the question of transporting the animals from Victoria, which the Austin Zoo did in crates in an air-conditioned livestock car. 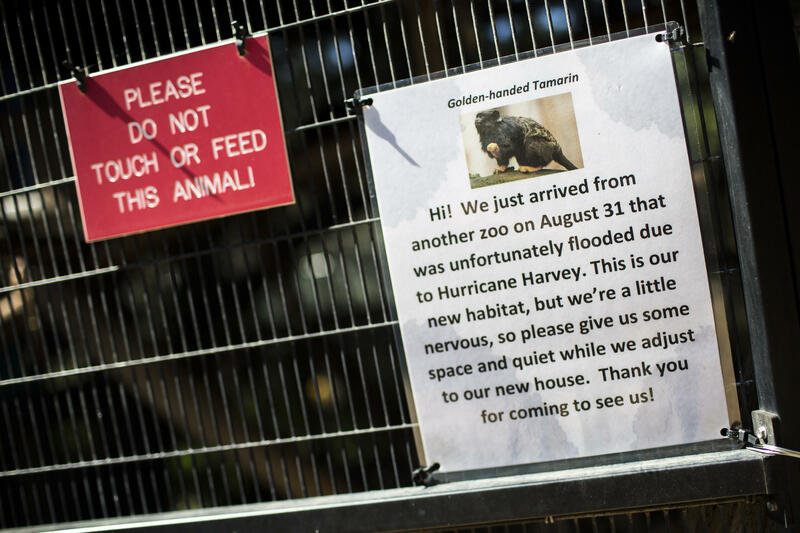 Head Curator John Gramieri says the Austin Zoo is suited to take in exotic creatures like the the tamarin monkeys displaced after Harvey. But, the Austin Zoo, Gramieri says, was well-equipped to take on the challenge. It’s unclear how long the flood evacuees will be here. 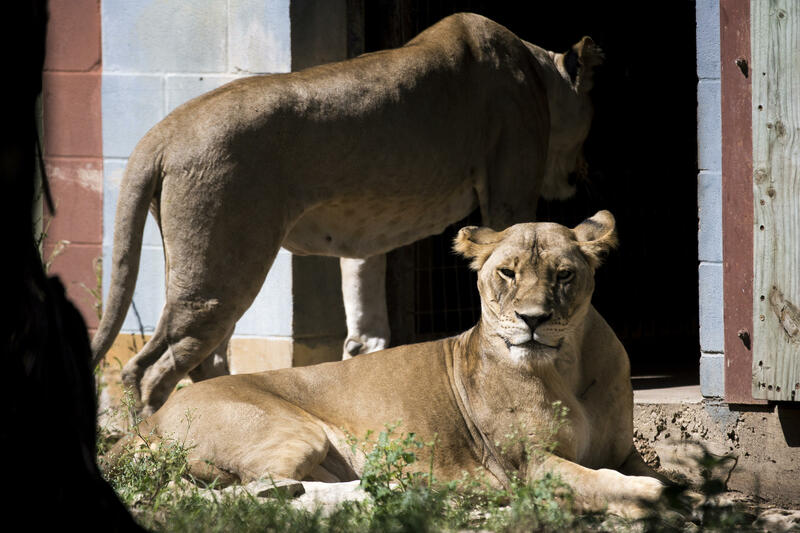 Depending on how rebuilding goes at the Texas Zoo in Victoria, Gramieri says, Austin could be their new forever home.